Jewellery Did You Know That Late Fashion Designer Gianfranco Ferré Was Also A Fantastic Jeweller? 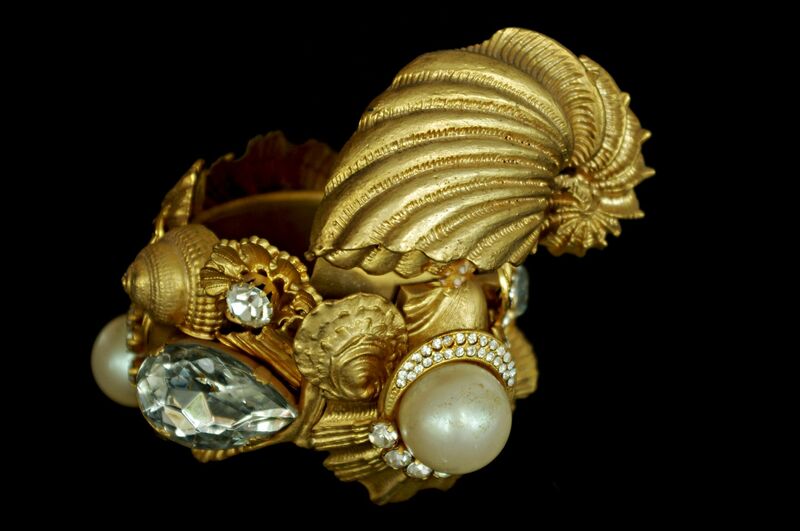 Did You Know That Late Fashion Designer Gianfranco Ferré Was Also A Fantastic Jeweller? Hundreds of jewel and ornamental pieces created by the late Gianfranco Ferré are revealed at the Hall of the Senate of Palazza Madama. Just over a decade after Ferré's passing in 2007, the Milan-based Fondazione Gianfranco Ferré and Turin Museums and Foundation will jointly oversee the latest exhibition over at the Hall of the Senate of Palazzo Madama in Turin, northern Italy. Entitled "Gianfranco Ferré. Under Another Light: Jewels and Ornaments", the Ferré retrospective—which reportedly took 18 months to produce—will focus on the lesser-known skills of the so-called "architect of fashion": his talent with jewels and ornamental creation. Two hundred jewel pieces were selected from around 350 ornaments by the exhibition's curator Francesca Alfano Miglietti. Selections, created for the Italian designer's fashion shows between 1980-2007, feature a variety of materials and precious gems: from polished stone, metal and ceramics to pearls, coral, crystals and Murano glass. Pieces include belts, rings and bracelets, as well as a 3D-printed copy of a piece originally executed in brass which will also be available to purchase for visitors. The architect Franco Raggi was tasked with creating the exhibition's design, which will showcase Ferré's pieces in minimalist rust-covered iron cages and glass cases, created to contrast with the opulent architecture of the stately Hall of the Senate of Palazzo Madama. The retrospective "Gianfranco Ferré. Under Another Light: Jewels and Ornaments" is organized as part of "Torino Design of the City", a Turin-based week of events (October 10-16, 2017) celebrating design.